I have been selected as 1 of 8 participants in The Disney ABC Television Writing Program. Created in 1990 with the Writers Guild of America West, the one-year program’s goal is to help participants secure their first staffing assignments via Disney-ABC Television series. While staff jobs are not guaranteed, program organizers say they have a nearly 100 percent hiring rate. This past season, the 2018 writers collectively landed eight script assignments. In addition, two alumni signed ABC Studios overall production deals. DHARMA is a semi-finalist for the Barrington Stage Company's first-ever Bonnie and Terry Burman New Play Award. The Company received nearly 500 submissions and Dharma is one of 60 semi-finalists. The winner will receive $25,000 and two runners-up will receive $5,000 each. Now in its 25th season, the Barrington Stage Company is an award-winning professional theatre in the Berkshires of western Massachusetts. DHARMA is a finalist with the 2018 Sultan Padamsee Playwriting Awards! There were submissions from around the world and I have been invited to attend the Mumbai Tata Literature Live Festival, November 15 – 18, where winners will be announced and plays will be presented. I'm a Finalist in the the Adi Shankar script contest for The Simpsons! Filmmaker Adi Shankar is crowdsourcing a “cure” to The Simpsons’ Apu problem, asking fans to write their very own episode. Last year, comedian Hari Kondabolu’s The Problem With Apu documentary looked at the problematic nature of the Kwik-E-Mart owner Apu Nahasapeemapetilon, arguing that the character perpetuates a racial stereotype. Indian-American filmmaker Shankar has now launched a contest for a “screenplay centering on the character Apu set in the world and canon of The Simpsons that takes the character of Apu and in a clever way subverts him, pivots him, intelligently writes him out, or evolves him in a way that takes a mean spirited mockery and transforms him into a kernel of truth wrapped in funny insight aka actual satire”. Shankar has promised to “take the winning script to The Simpsons writers’ room and Fox Broadcasting Company, to make it an official episode of The Simpsons‘ upcoming season, and recommend that they hire the winning writer into their room for the next season”. “If The Simpsons writers’ room rejects the episode,” he adds, then Shankar himself will “finance the winning script and produce it as an unofficial fan film that looks identical to an official Simpsons episode”. I’m delighted to share that I’ve advanced to the second round of the Warner Bros. Writers’ Workshop selection process. Every year, the Workshop selects up to eight participants out of more than 2,500 submissions and exposes them to Warner Bros. Television’s top writers and executives, all with the ultimate goal of earning them a staff position on a Warner Bros.-produced television show. For over 40 years, the Workshop has been the premiere writing program for new writers looking to start and further their career in the world of television. The Warner Bros. Television Writers’ Workshop consists of three components, all geared towards preparing the writer for a successful career in television writing. In its second year for the Playwriting Competition, Dharma placed among the top 20% of nearly 700 plays submitted. Long regarded as “The Writers Festival”, AFF is thrilled to include writers for the stage in our mission for championing storytellers. I am a 2018 Humanitas Play LA Finalist! I am a finalist for the Humanitas 2018/2019 PLAY LA Workshop. Finalists are in strong consideration for LA-based readings in September. Fingers crossed! Sesame Street Awards a Development Deal to Me! Sesame Workshop, the nonprofit educational arm of Sesame Street, has awarded creative development deals to Nayna Agrawal and Roxy Simons, two emerging television writers at the culmination of the second annual “Sesame Street Writers’ Room“ fellowship program. The Program is an intensive eight-week program to highlight and grow underrepresented talent in children’s media. After an open call for script submissions in January, seven fellows were selected from a pool of over 450 applicants through a series of blind readings. Coming from a range of professional and artistic backgrounds, the fellows met in New York for eight sessions led by Emmy-nominated television writer Susan Kim, participating in hands-on workshopping and meeting with agents, executive producers, and other industry professionals. Guest speakers included The Backyardigans creator Janice Burgess, Doc McStuffins creator Chris Nee, Wallykazam! creator Adam Peltzman, and Gullah Gullah Island creator Maria Perez-Brown, plus Ken Scarborough, Sesame Street’s head writer. 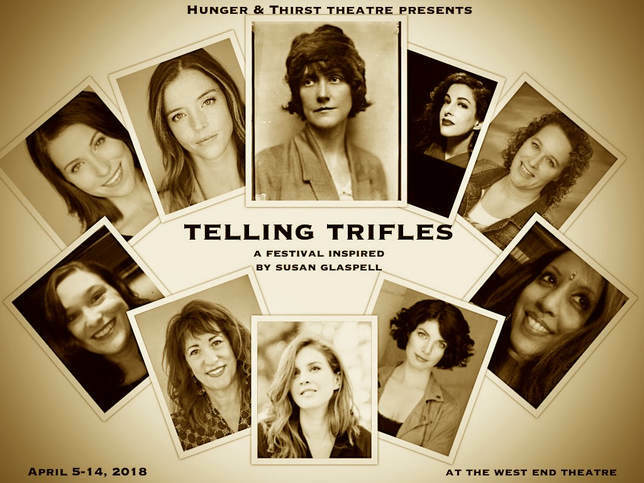 At the recent closing reception, the formal announcement of the winning fellows was followed by staged readings of their scripts and a networking mixer with award-winning industry professionals. CATCALL at Sitting Shotgun Theatre this Fall! My full-length play, Catcall, has been selected for the Fall 2018 series with Sitting Shotgun Theatre in Brooklyn, NY. Catcall will receive three readings the weekend of September 21st. More information can be found at https://www.sitting-shotgun.com/. My play Reality Check has been accepted for a reading in the 2018 Midwest Dramatists Center Conference on September 27-29, 2018. Reality Check was selected from hundreds of plays. Industry professionals from New York City, Beth Blickers (literary agent with APA), and Sean Grennan (playwright), will attend play readings held during the conference and conduct workshops for the playwrights whose plays have been selected for the conference. The conference will provide actors and directors and feedback on plays of the selected playwrights from literary managers and artistic directors from around the country. Like "BANDANA" with a "V" selected for New Normal Series! In partnership with The Black List, the New Normal Series will feature "Like Bandana With A V", my half-hour comedic pilot, at their March 27th event (8 p.m., The Next Door Lounge, Los Angeles)! Please join us! Tickets can be purchased online! Dharma is a semi-finalist with Play-Makers Theater in Spokane, WA. Ten semifinalists were selected from this year's submissions pool as part of their annual "Women Are Funny" initiative. Recipient of 2018 ATHE New Play Development Workshop opportunity! My play has been selected from 130 submissions to be workshopped, developed, and presented at the 2018 Association for Theatre in Higher Education (ATHE) conference to be held in Boston, MA August 1-5. Founded in 1986, ATHE serves the interests of its diverse individual and organizational members, including college and university theatre departments and administrators, educators, graduate students, and theatre practitioners. An advocate for the field of theatre and performance in higher education, ATHE serves as an intellectual and artistic center for producing new knowledge about theatre and performance-related disciplines, cultivating vital alliances with other scholarly and creative disciplines, linking with professional and community-based theatres, and promoting access and equity. 4950 featured in the line up for the 2018 California Women's Festival! My film, which I wrote and co-produced, was accepted into the California Women's Festival! "Like Bandana with A V" advances with the Fox Writers Lab! I have advanced in the process of consideration of the Fox Writers Lab (FWL) for their 2018 program. The program receives up to 750 applications and ultimately eight writers will be selected. Participants are connected with showrunners, screenwriters, directors and creative executives across television, feature films and digital entertainment. The FWL offers trained writers an immersive four-month curriculum focused on developing original material, honing writing skills and exploring the business of media and entertainment.